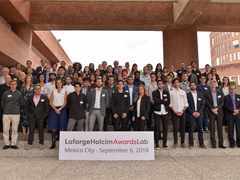 Roland Köhler, Chairman of the Board of the LafargeHolcim Foundation at the Next Generation Awards Lab 2018 at IBERO in Mexico City. 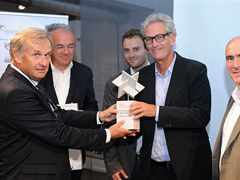 Roland Köhler is Chairman of the Board of the LafargeHolcim Foundation for Sustainable Construction. 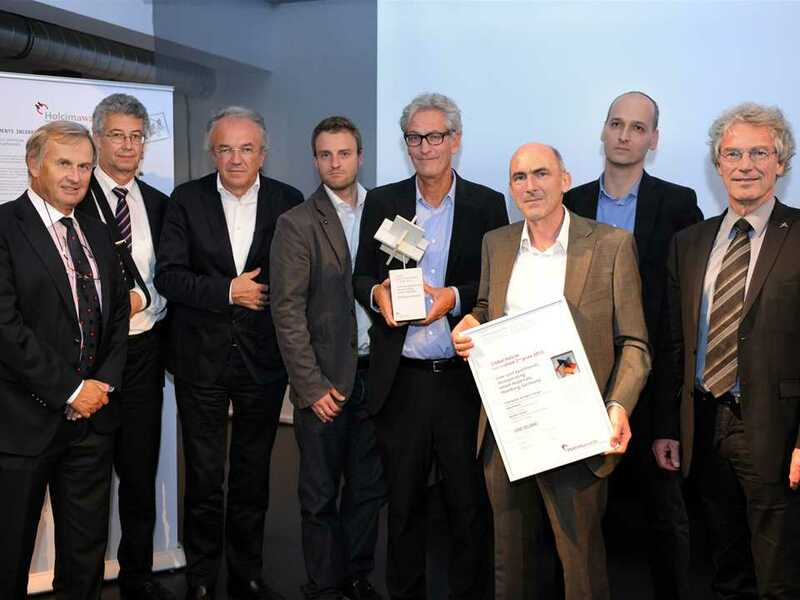 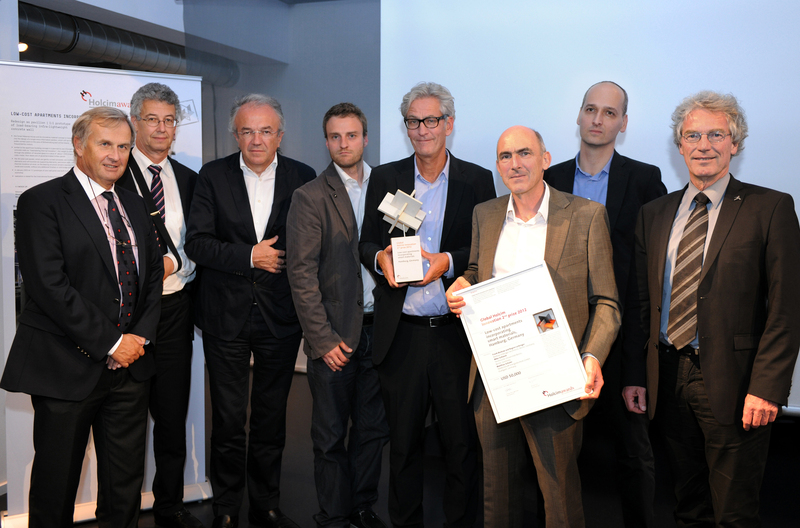 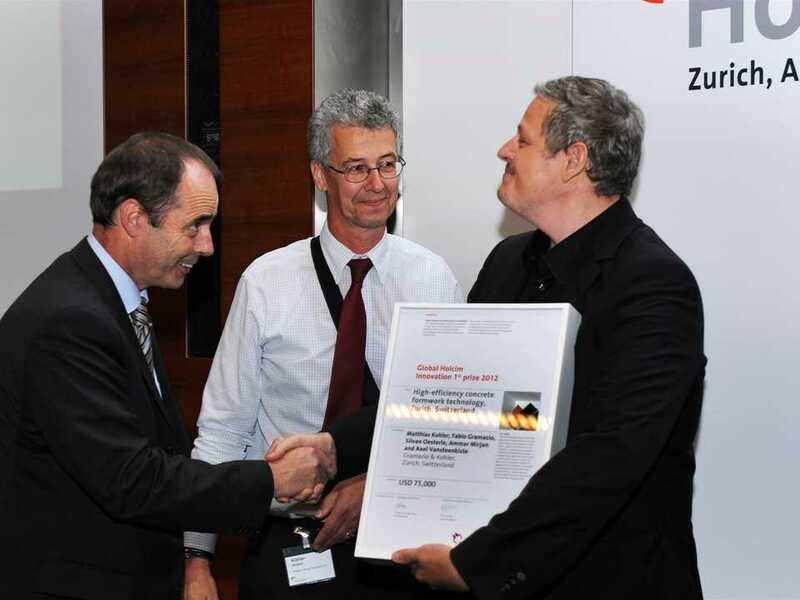 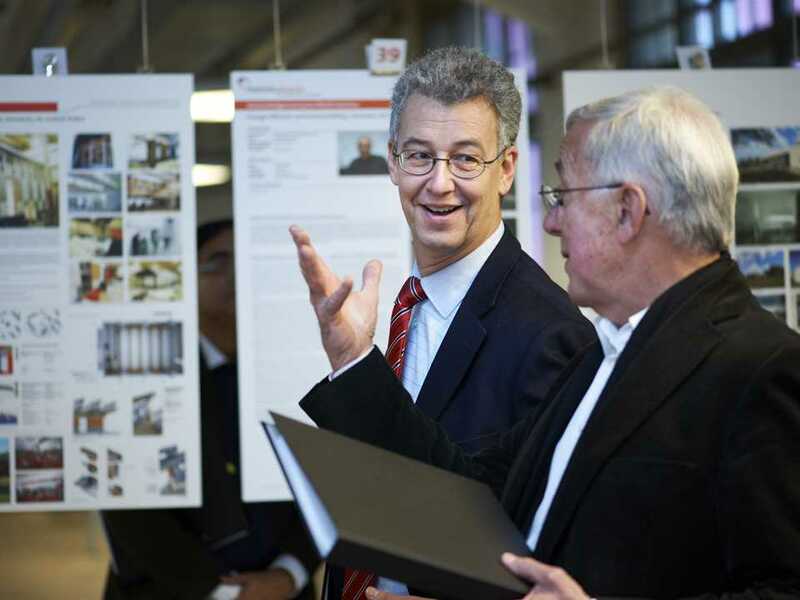 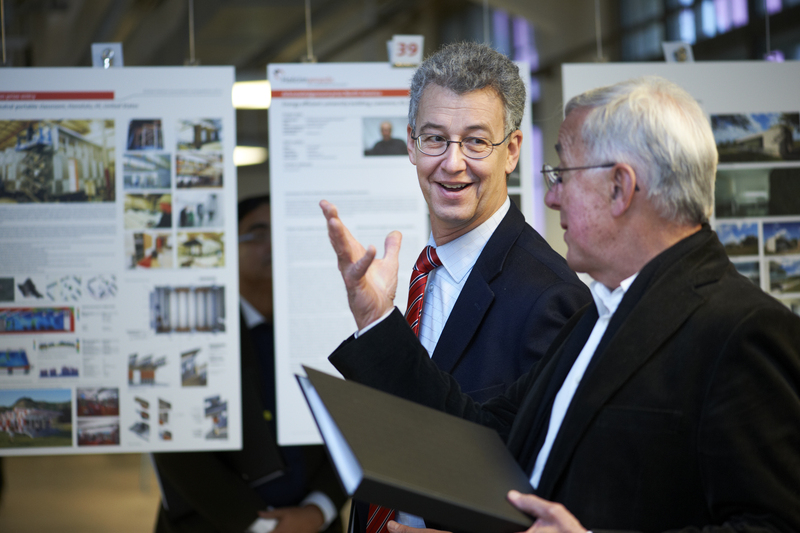 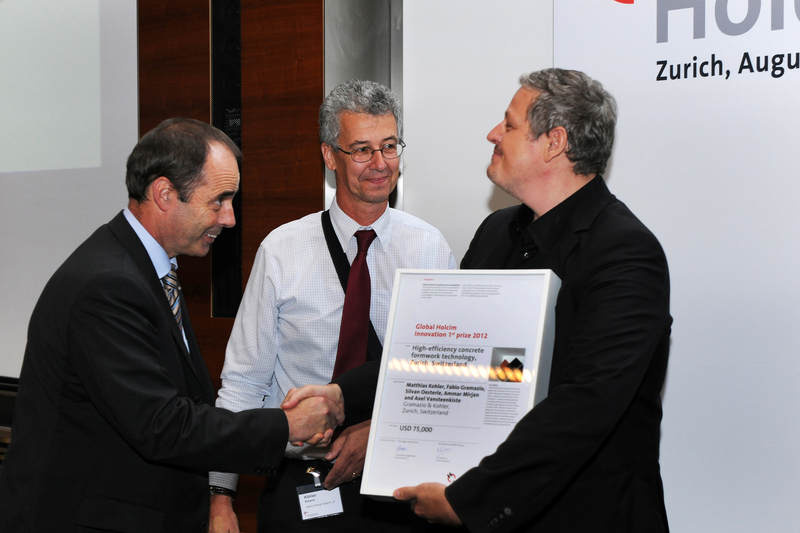 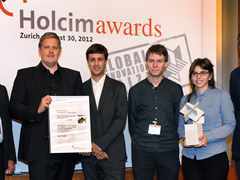 Global Holcim Innovation prize jury meeting 2012, Zurich, Switzerland: Roland Köhler and Hans-Rudolf Schalcher. 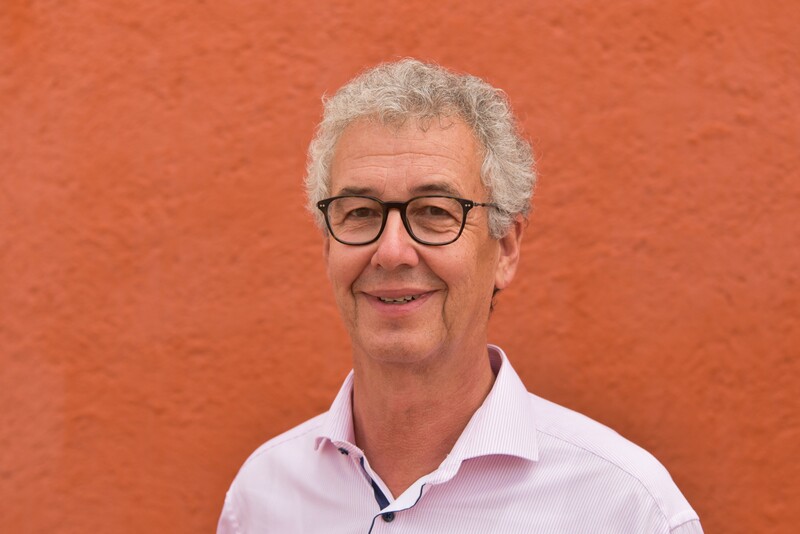 He is also Chairman of the Board of Noser Group, one of the leading providers of information and communications technology (ICT) solutions and support in Switzerland. 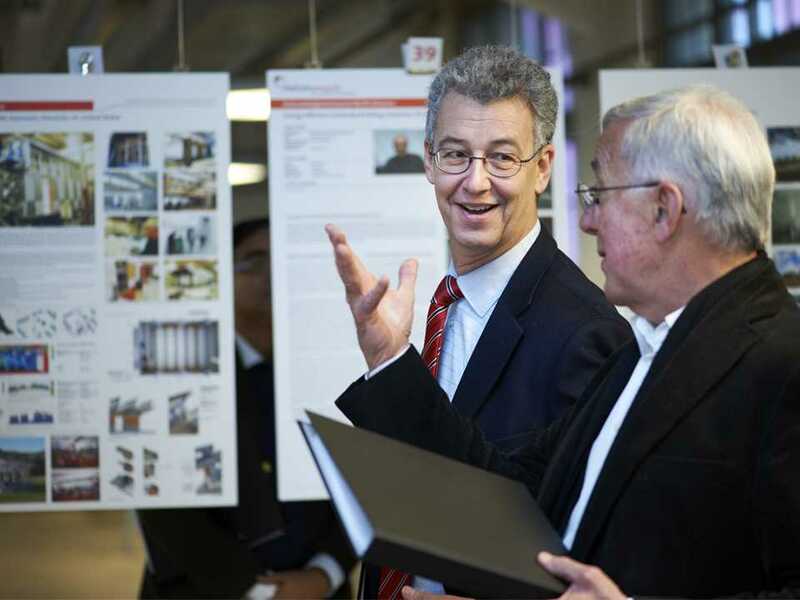 Roland Köhler had a successful career within LafargeHolcim spanning more than 30 years and was Member of the Executive Committee (2010-18). 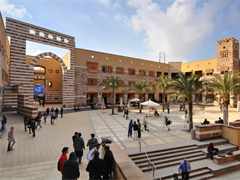 He studied business administration at the University of Zurich, Switzerland, and joined Swiss building materials group Hunziker in 1988 as Head of Finance & Administration. 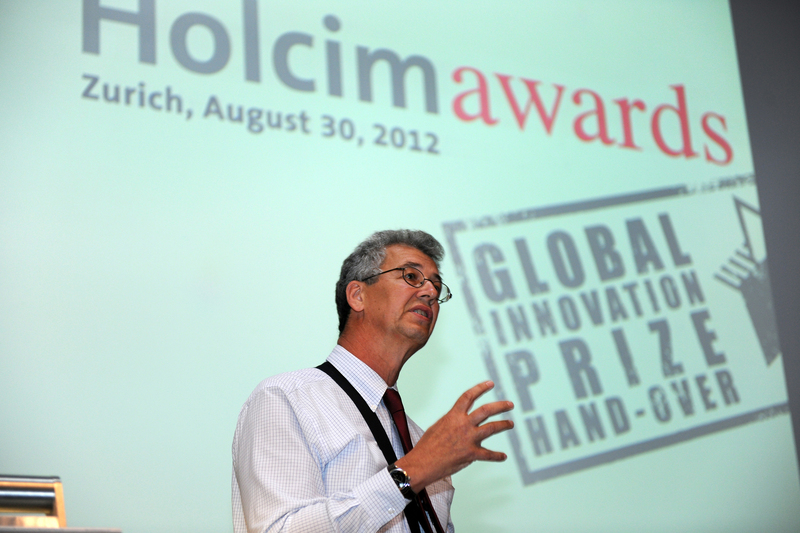 He transferred to Holcim Group Support as a management consultant in 1994. 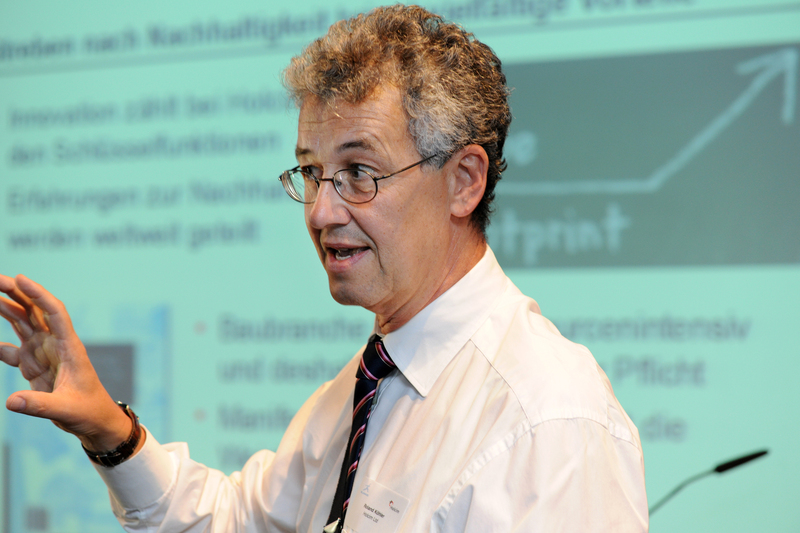 He was Head of Corporate Controlling (1995-98) and Head of Business Risk Management (1999-2001). 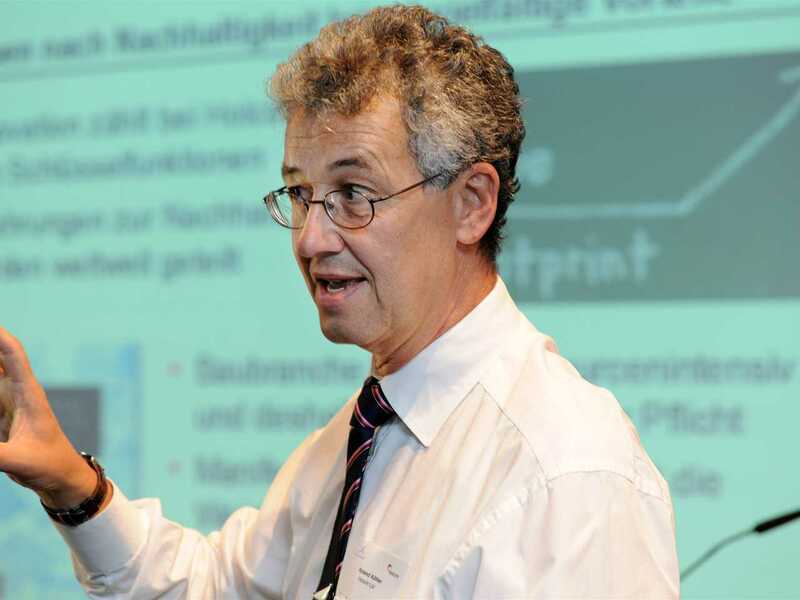 He headed Corporate Strategy & Risk Management from 2002. 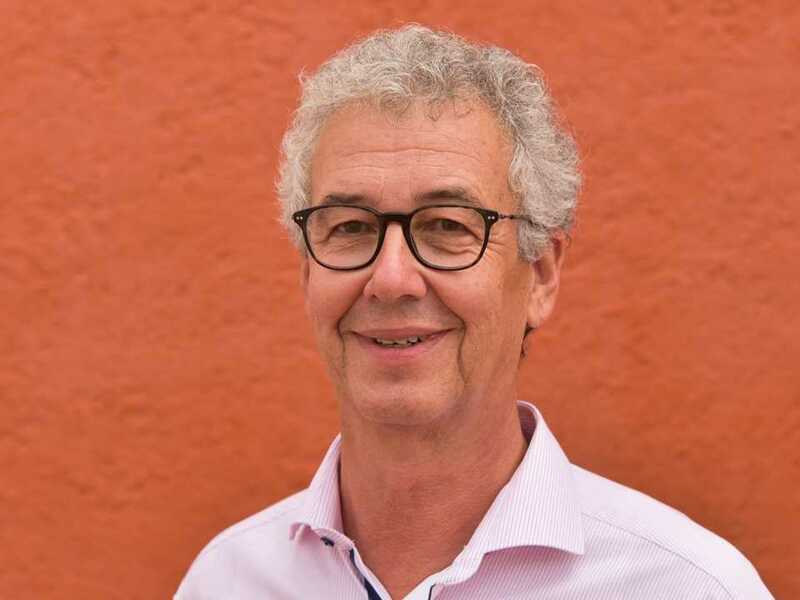 After the merger of Lafarge and Holcim in July 2015, he was confirmed as member of the Executive Committee of LafargeHolcim with responsibility for Europe. 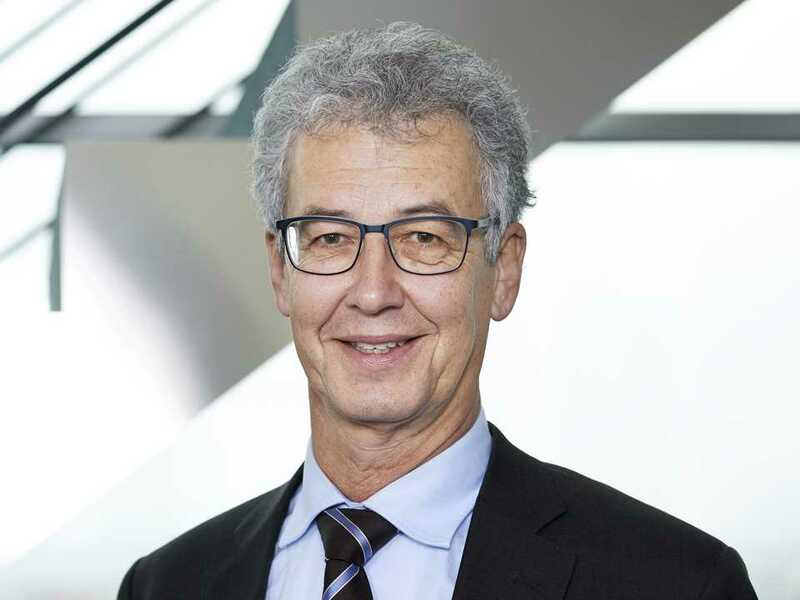 Roland Köhler retired in 2018 and continues to represent the Group as a non-executive director in local subsidiaries of the company. 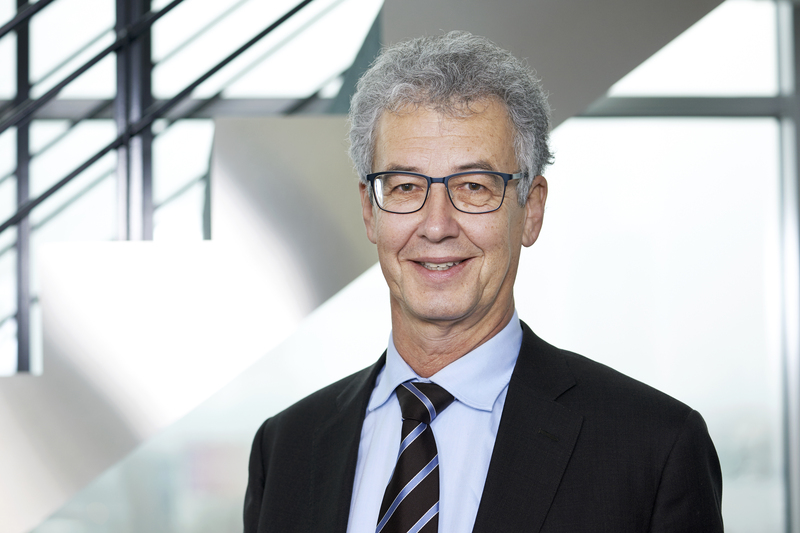 Roland Köhler joined the Board of the LafargeHolcim Foundation in 2015. 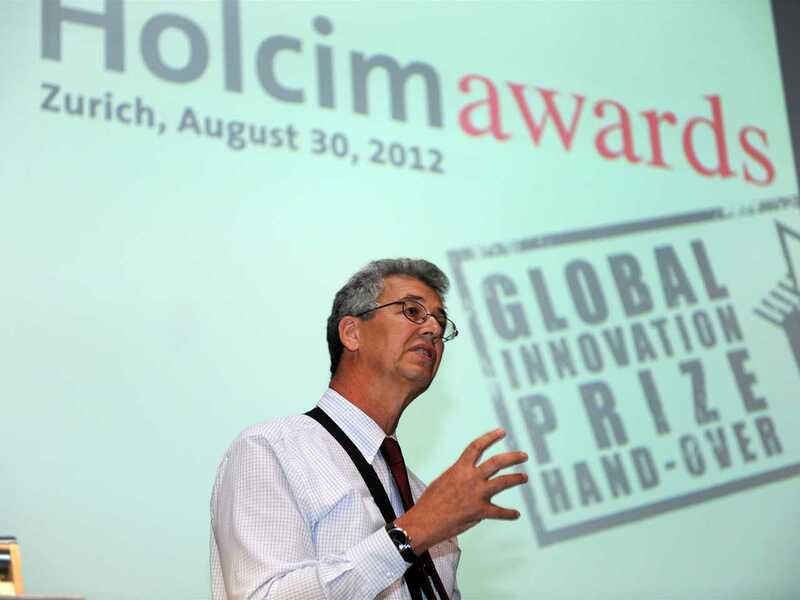 He was a member of the Global Holcim Awards Innovation prize jury in 2012, and an observer of the Global LafargeHolcim Awards jury in 2018. 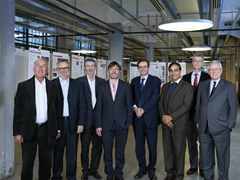 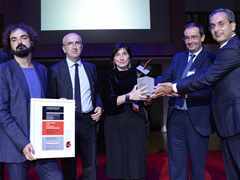 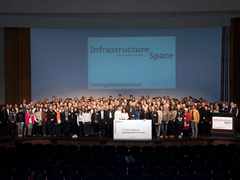 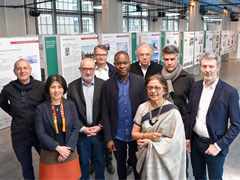 He became Chairman of the LafargeHolcim Foundation for Sustainable Construction on April 1, 2018.